I’m sure that place wasn’t the only site where oil was discovered through some geologic research done prior to the civil war. 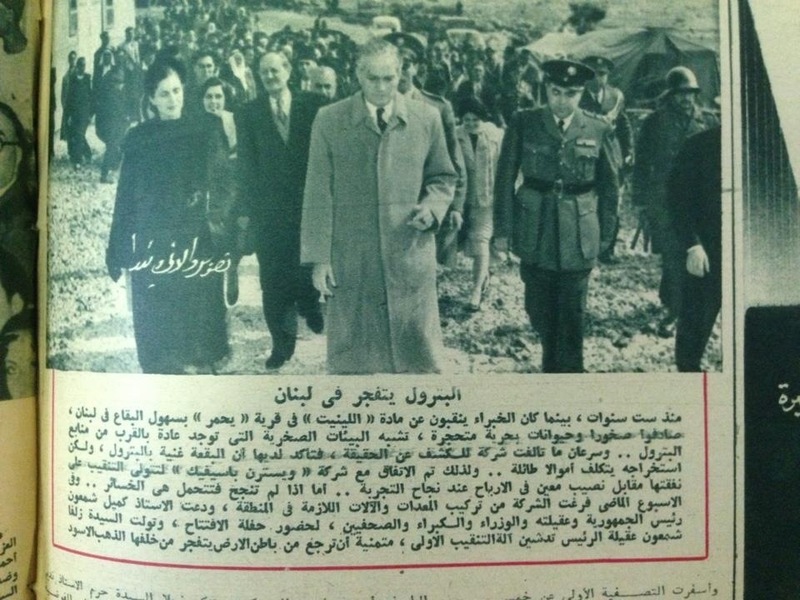 My hometown and neighboring regions in the Batroun caza were also hotspots for oil interest. Or so I’ve been told for years. I wonder, are we using that research today to search for oil in our soil? Or are we considering it obsolete due to time passing? Moreover, how is it that the notion of Lebanon potentially being an oil-rich country got erased so drastically from the nation’s collective memory only to resurface in 2009? It can’t all be due to the civil war. I guess Lebanon wasn’t “allowed” by higher powers to tap into its natural resources back then. Why’s that? Because it would have strengthened the country to a point where those powers wouldn’t have been able to use it for all sorts of regional bargaining, which begets the question: will our current foray into the world of oil and gas be smooth or will hurdles beyond those caused by the country’s sectarian calculations pop up at each bend in the road? After all, we’re already terribly late (link).